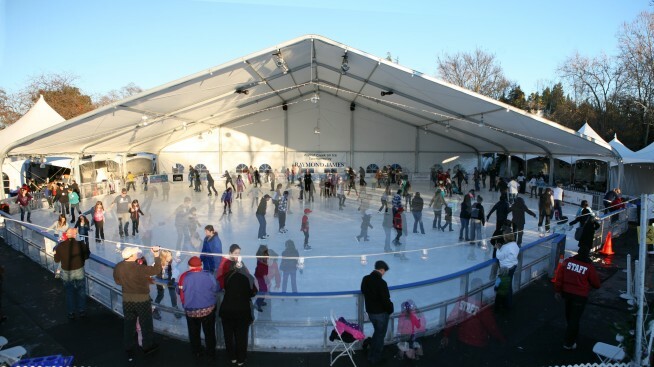 The 11th annual Walnut Creek on Ice takes place in the heart of downtown Civic Park. The partially enclosed ice rink welcomes skaters of all ages and abilities to tie on a pair of ice skates and skate daily through January 18, 2016. Families can also celebrate the season with the Children Winter Festival, Family Skate Nights, Lamorinda Theater Company performance, and much more.